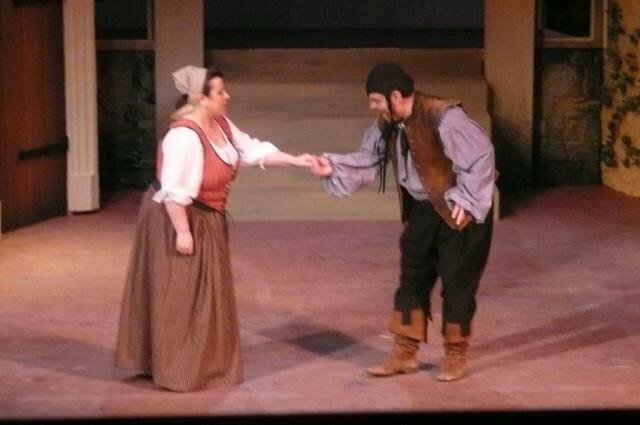 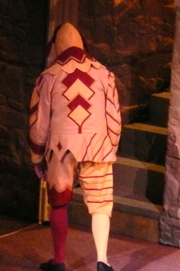 A dejected Jack Point (Robin Ożóg) leaves the stage, having lost his opportunity to win the hand of the woman he loves. 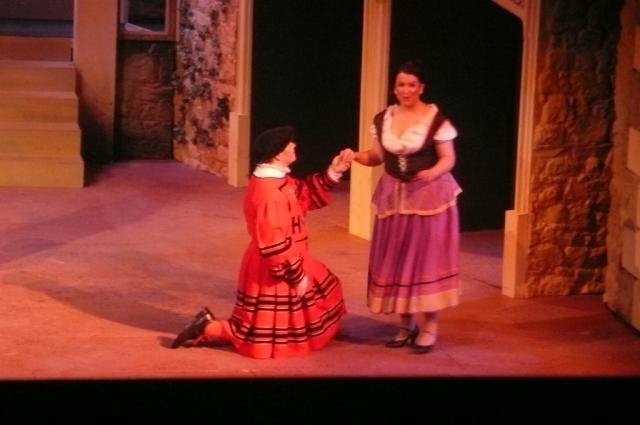 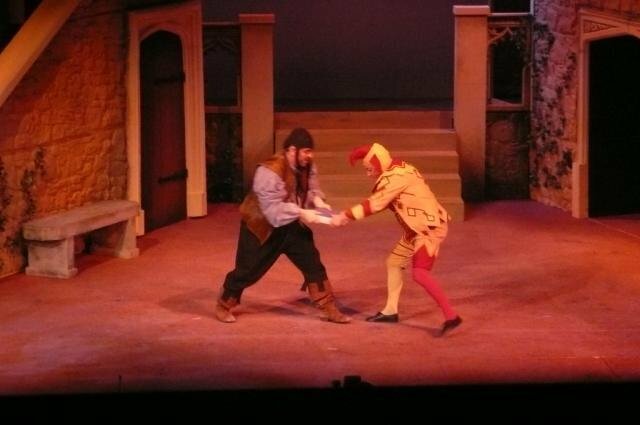 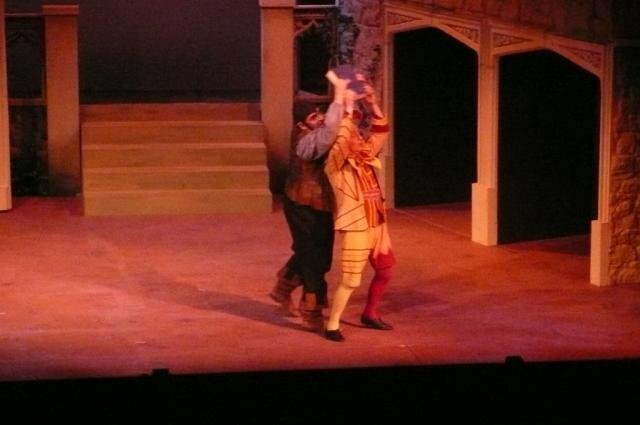 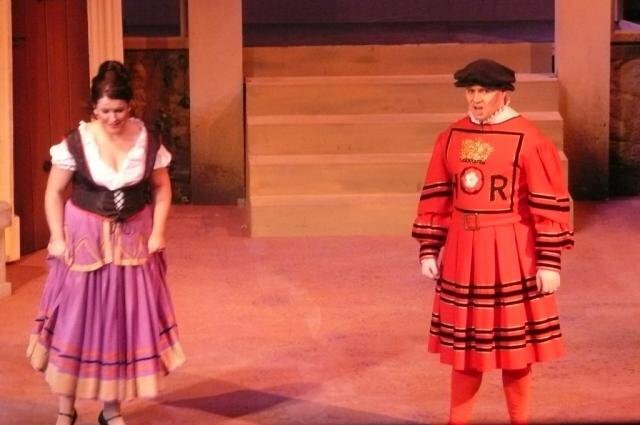 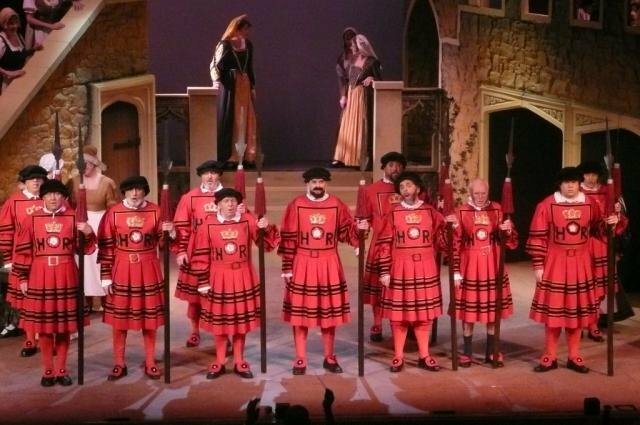 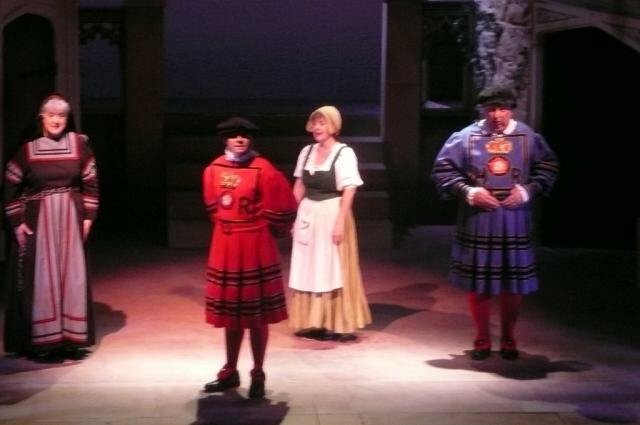 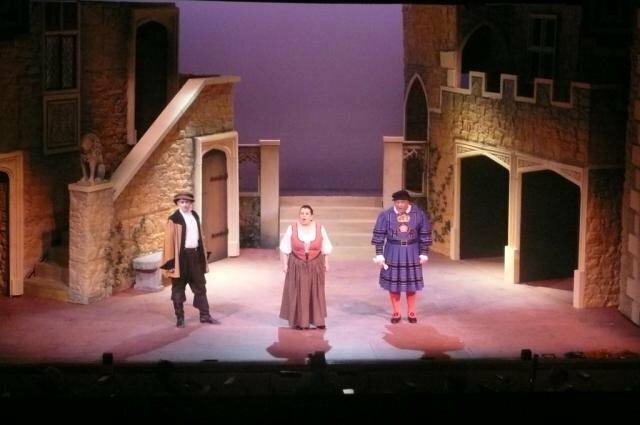 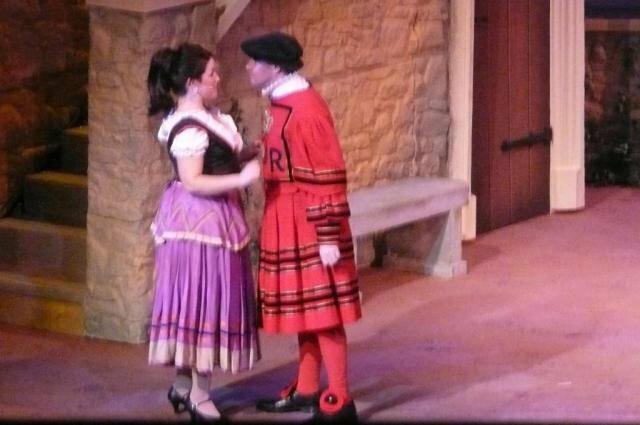 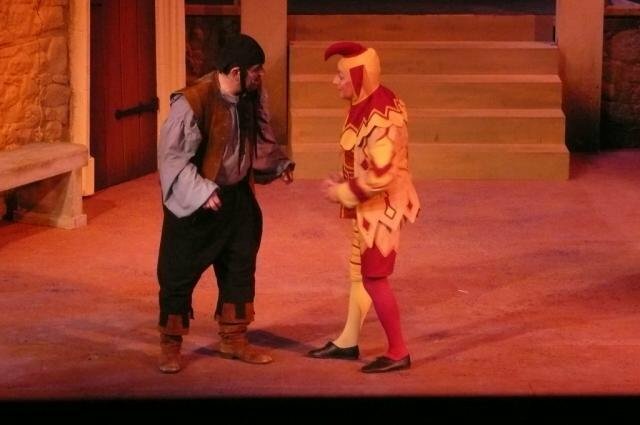 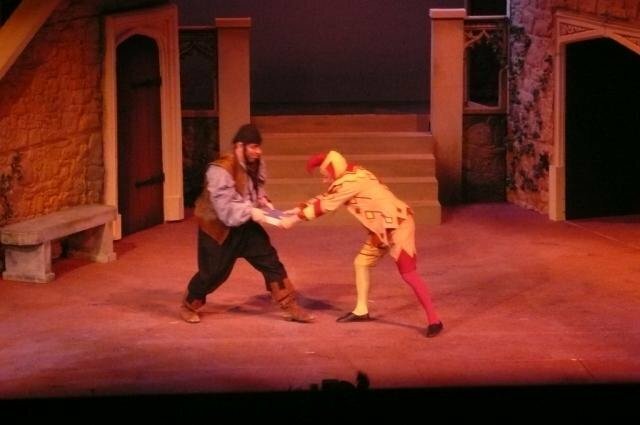 If you were there, you will know how fantastic the show was; if you didn’t come to the Carnegie for Yeomen, you too have lost your opportunity for ever, and should feel as Master Point did. 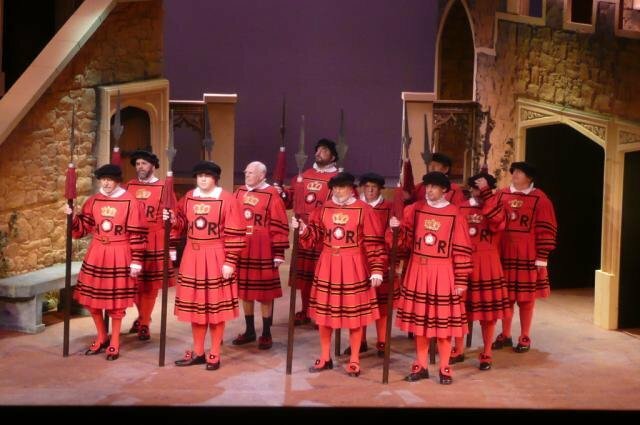 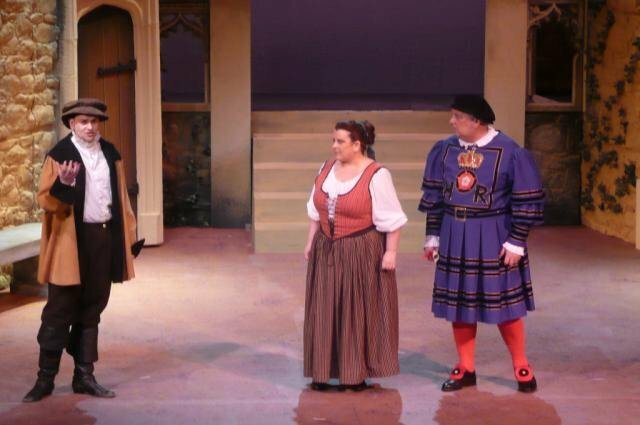 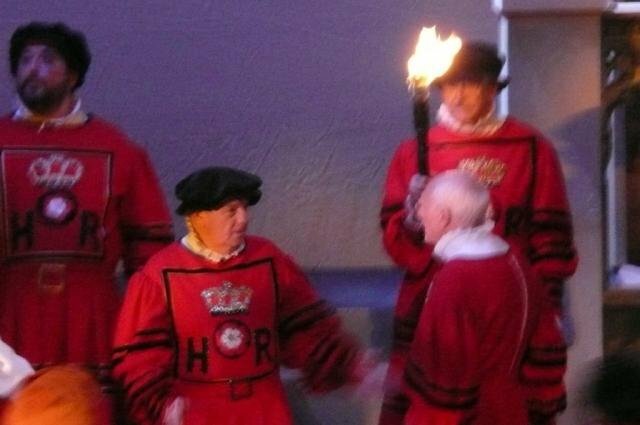 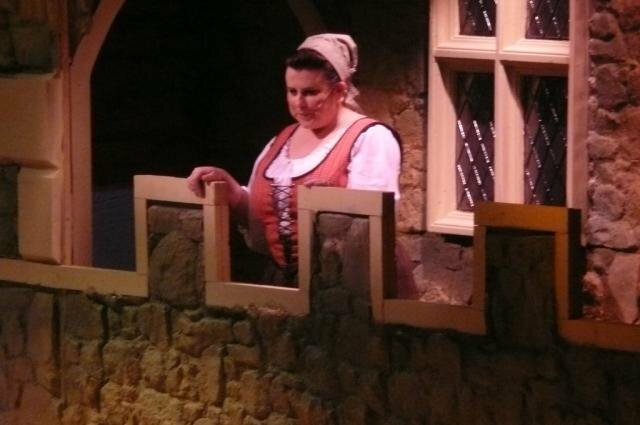 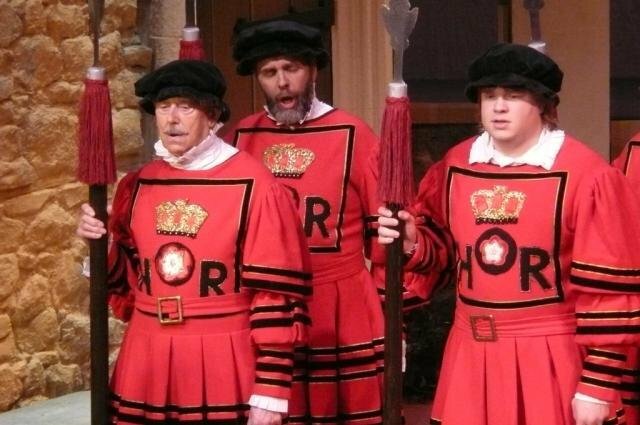 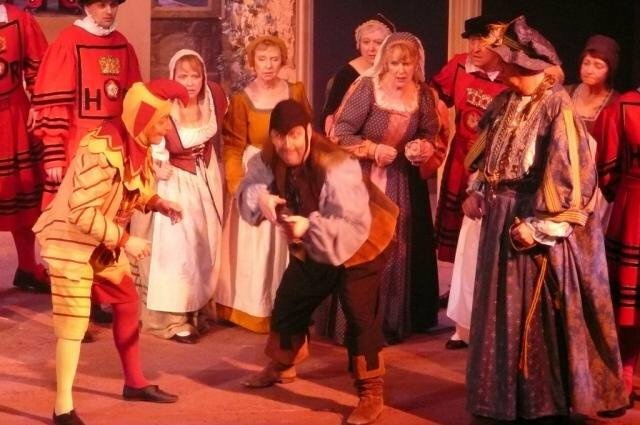 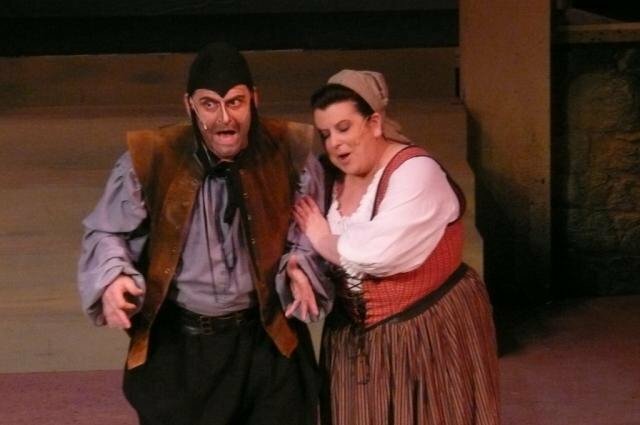 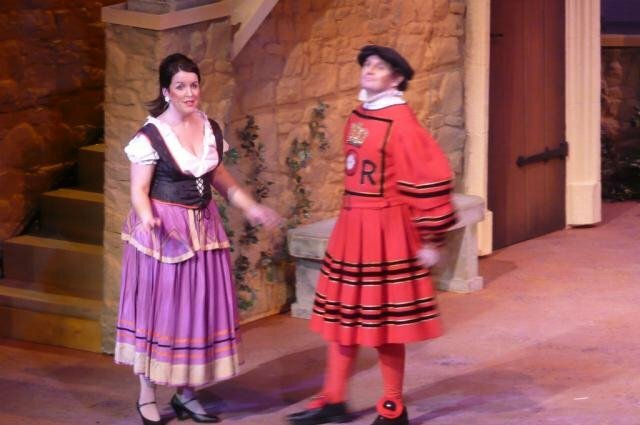 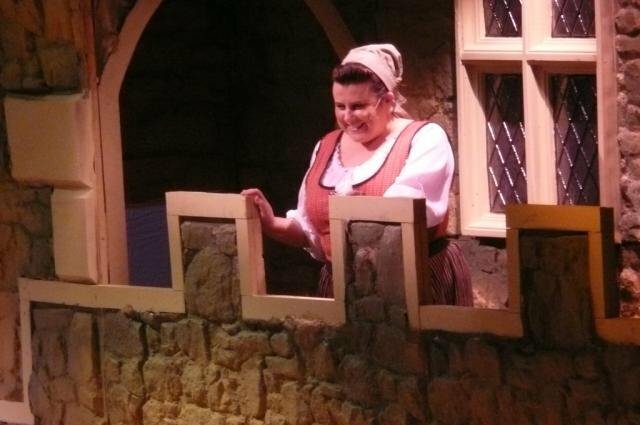 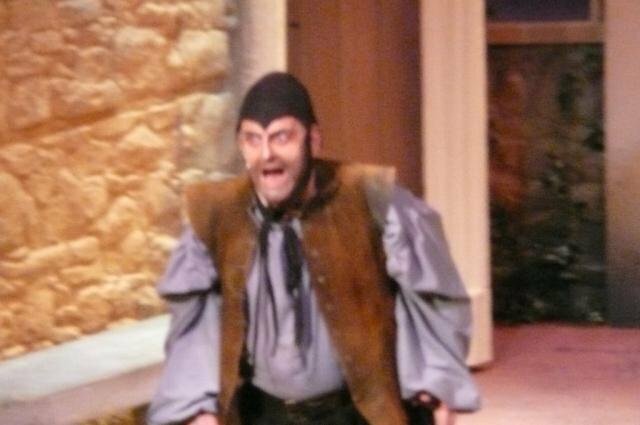 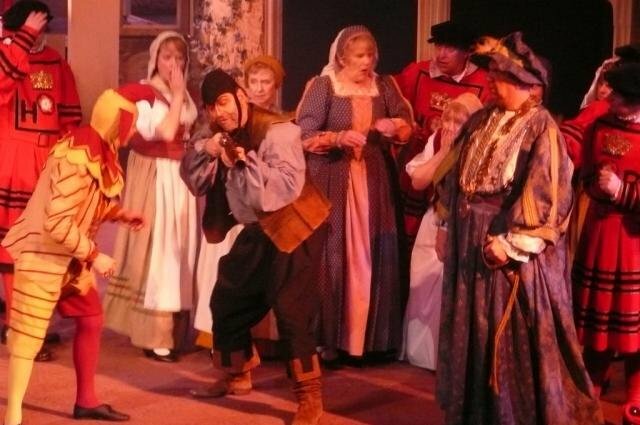 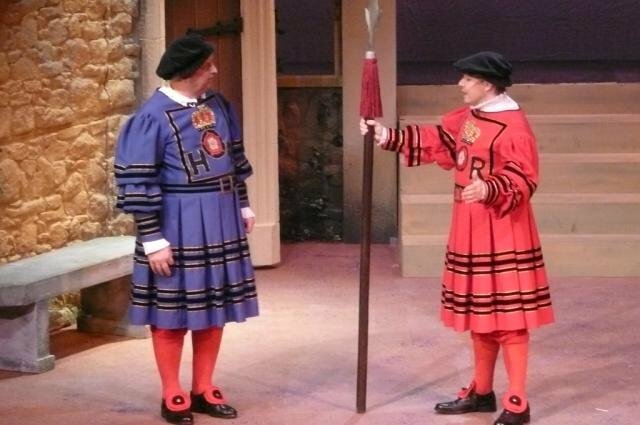 Especially when you read the report from a knowledgeable critic who was at the Friday evening performance enjoyed by an almost capacity house…The Yeomen of the Guard is one of the last of Gilbert and Sullivan’s operettas, and has the darkest and most profound plot. 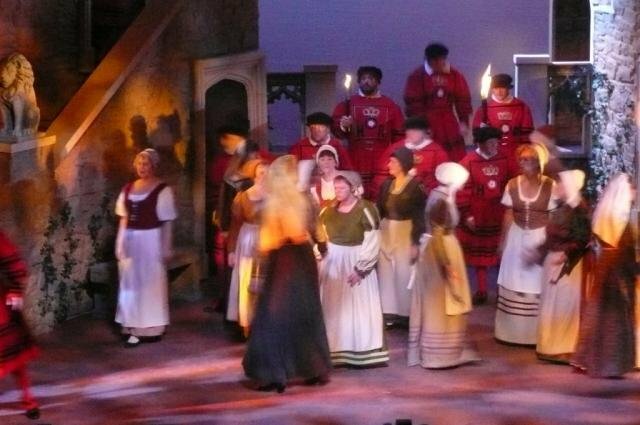 The over-arching theme is one of the persistent problems of human nature – rejection. 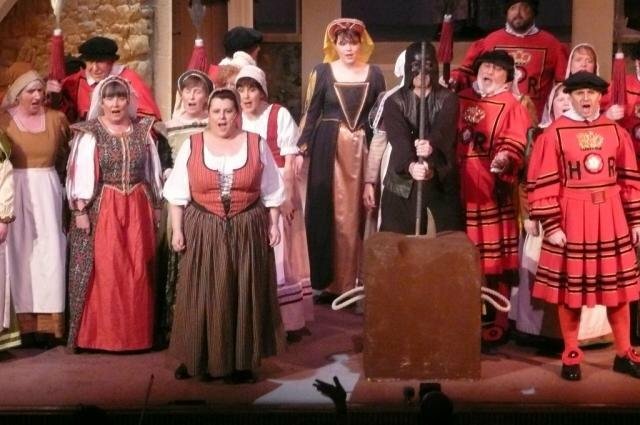 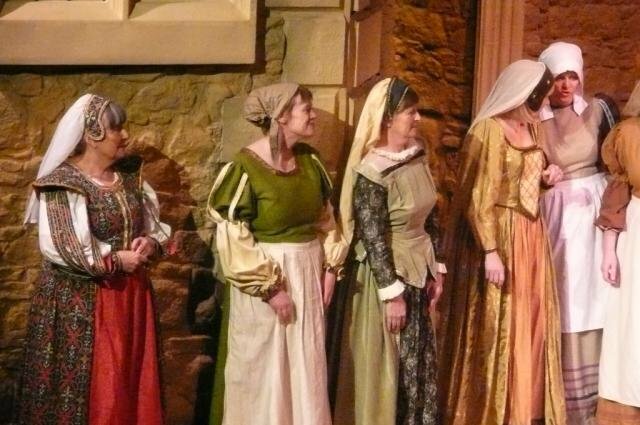 Dunfermline Gilbert and Sullivan Society excelled themselves in this production, with strong characterisations and a dramatic flow which maintained the various tensions of the plot to the end under the able direction of Peter Macfarlane. 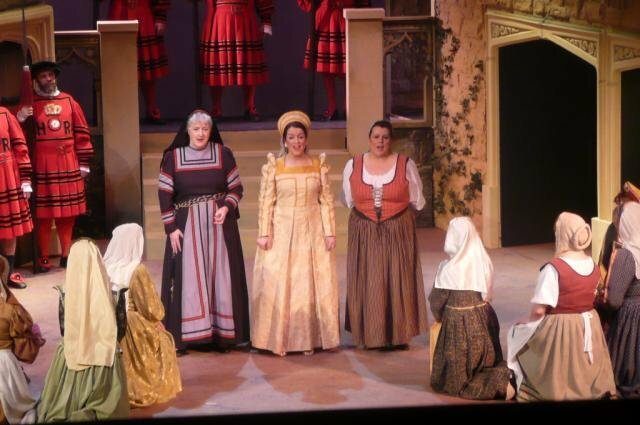 Of particular note were the performances of Susan Burnett as the seductive Phoebe, and Claire Porterfield, whose vocal power and control as Elsie captivated the audience. 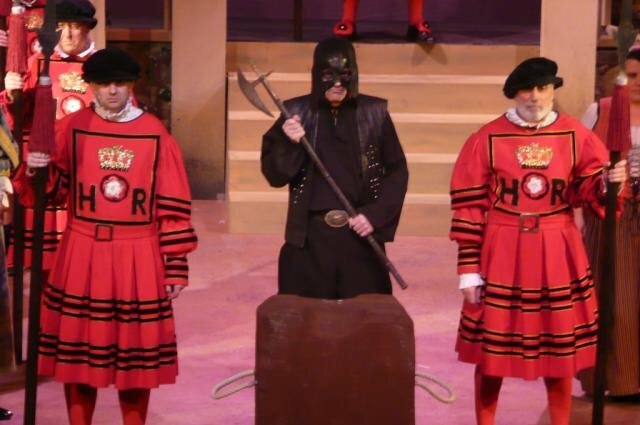 An outstanding dramatic performance was given by Ian Osborne, whose shambling portrayal of Shadbolt, the chief Jailer, was at once chillingly sinister and yet pathetic. 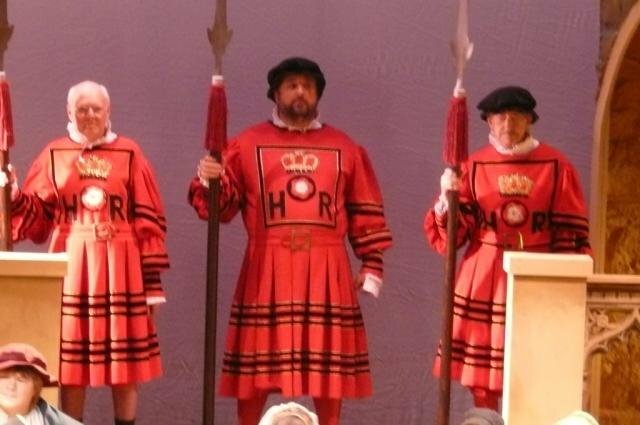 Martin Tarr was appropriately imperious as Sir Richard Cholmondeley, the Lieutenant of the Tower. 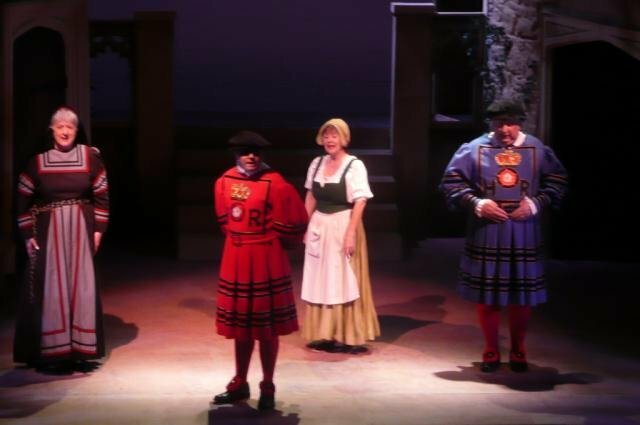 The musical gem was the quartet Strange Adventure, much of it unaccompanied, sung with beautiful balance and precise intonation by Elaine McNicoll as Kate, Mary Kidd as Dame Carruthers, George Alexander as Sergeant Meryll and Michael McFarlane as Colonel Fairfax, whose secure tenor arias and confident stage presence were a strength from start to finish. 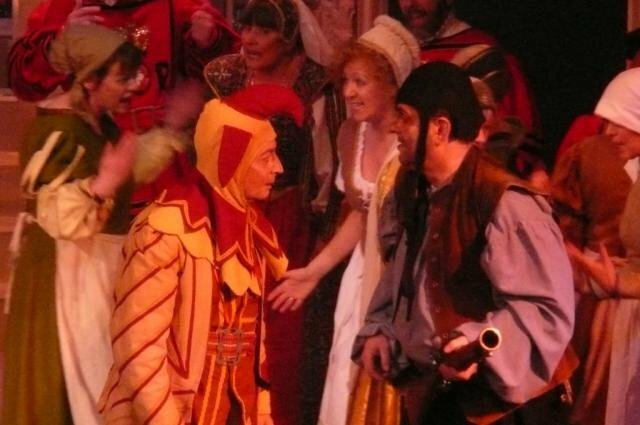 The major theme of loneliness finds its focus in the central character of Jack Point the jester, played with great energy and emotional power by Robin Ożóg. 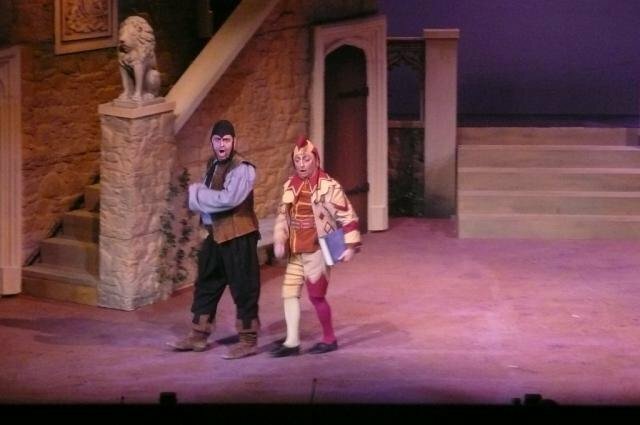 Rejected by the girl he loves and condemned by his profession to crack jokes while his heart is breaking, his final solo, gasped out between sobs, could hardly have left a dry eye in the theatre. 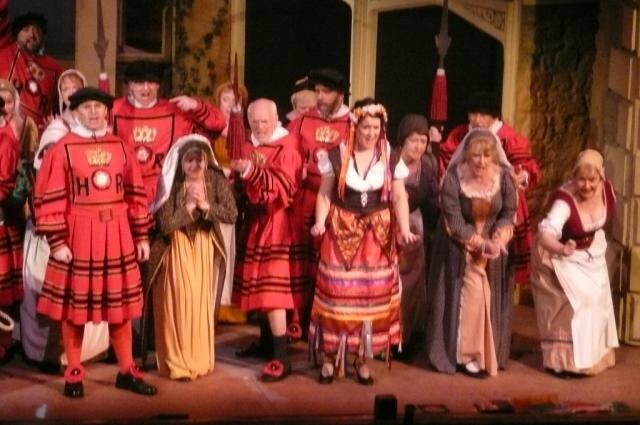 His collapse on the stage immediately before the final curtain brings this operetta to a tragic conclusion unique in the Gilbert and Sullivan canon, and underlines its serious message. 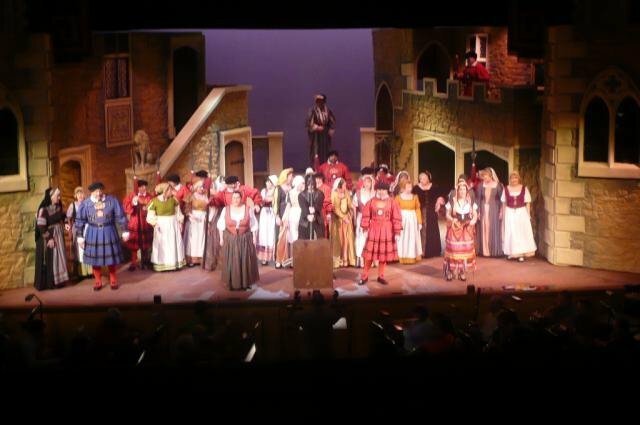 The competent orchestra settled down after some minor intonation problems at the beginning, and Musical Director Eddie Maclennan maintained the ensemble between pit and stage without a hitch, never easy in operatic productions. 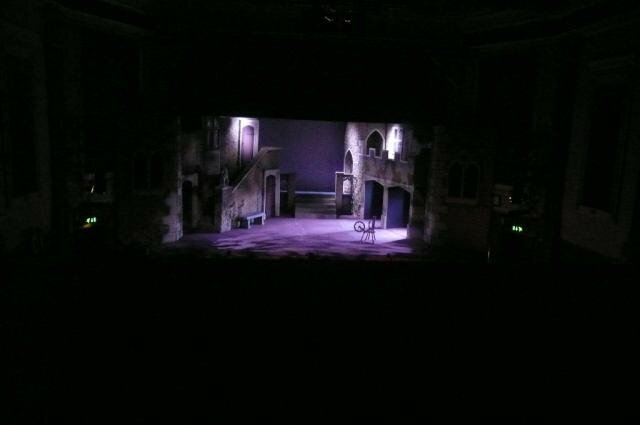 The single set looked solid and sinister in its representation of the Tower of London, and was stunningly lit to a plot by John Allen. 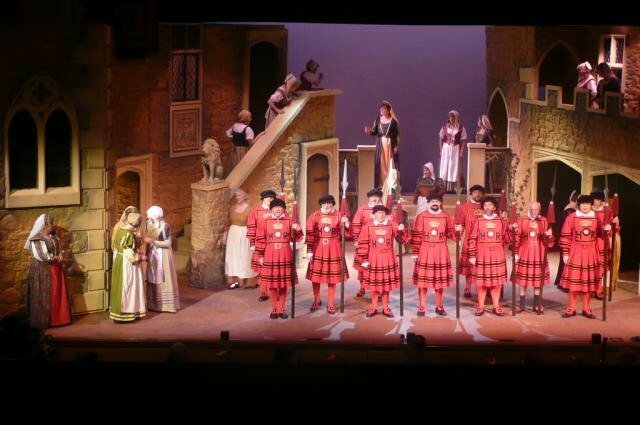 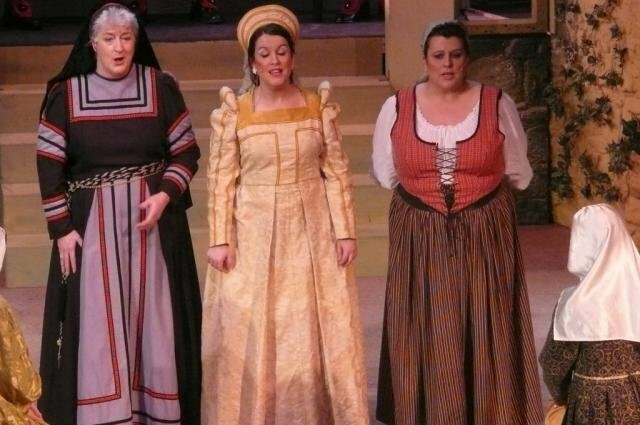 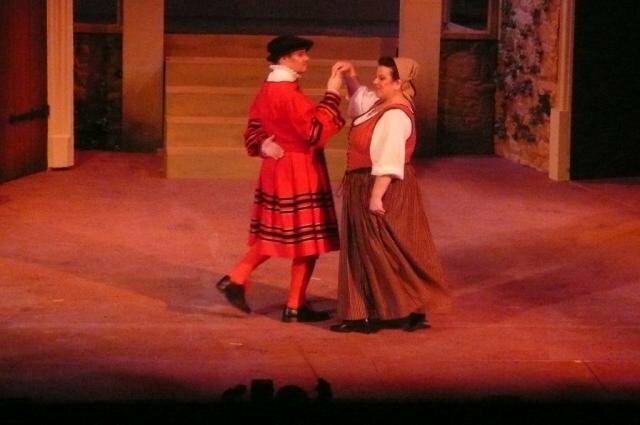 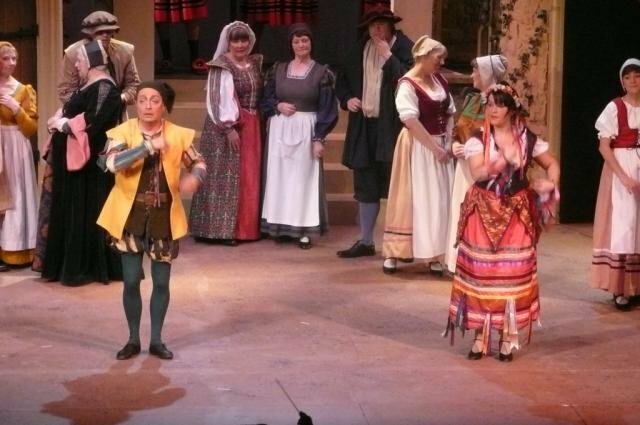 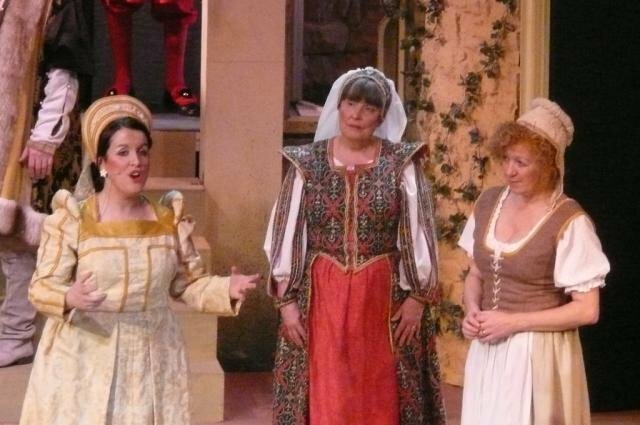 This production will surely rank as one of Dunfermline Gilbert and Sullivan Society’s most memorable to date. 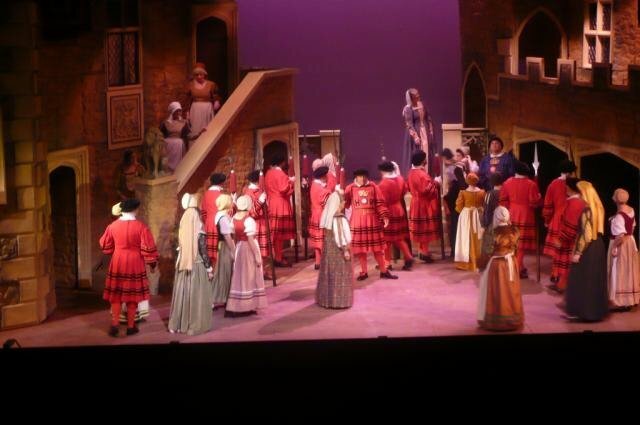 I hope like me you had the privilege of being a member of the audience. 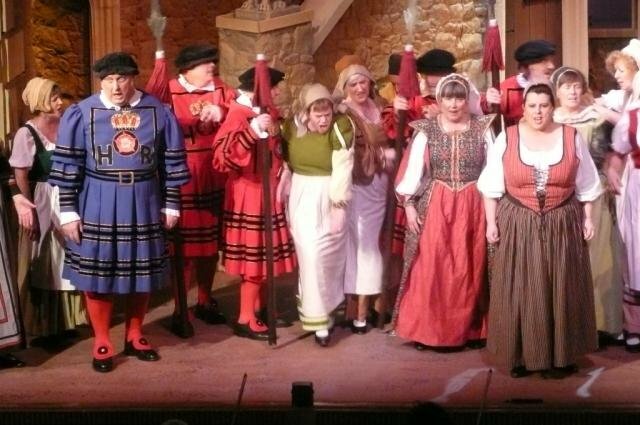 If you missed it, be sure to make a date with next year’s show from this very talented company. 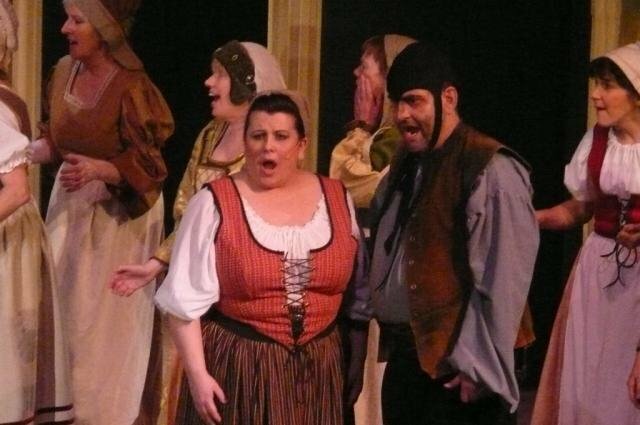 And if you’re a singer why not join them on stage? 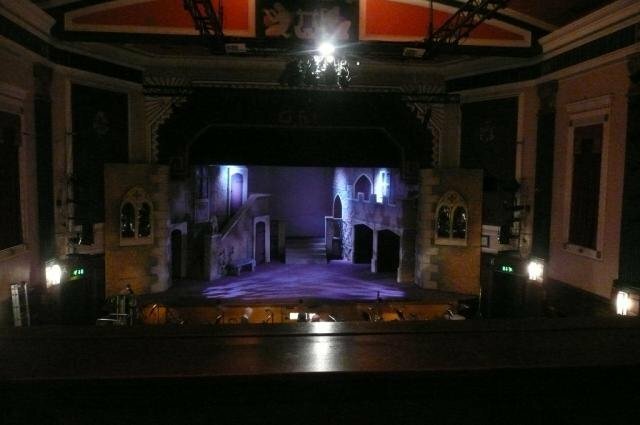 The pictures below were taken by Rachel Campbell at the dress rehearsal. 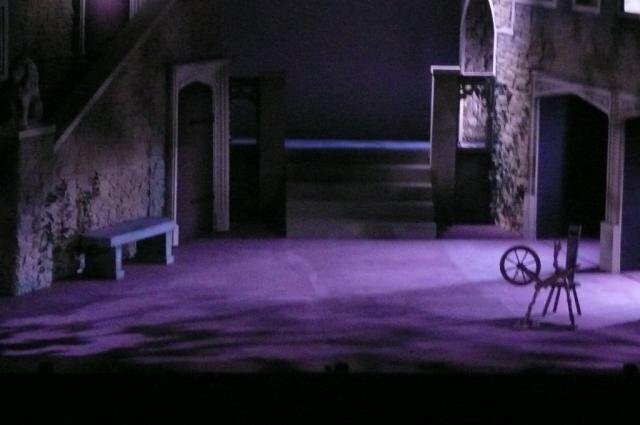 Hovering your mouse over the image area will pause the autoplay, or you can select a frame from the film-strip at the bottom.